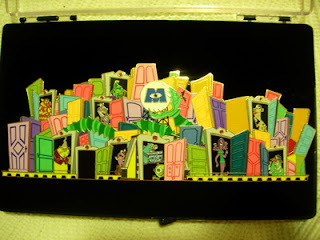 This is a pin exclusive to Walt Disney Imagineering, celebating the "Monster's Inc.- Mike & Sulley To The Rescue!" attraction that opened at Disney's California Adventure in January of 2006. This is a really big pin- easily the largest pin that I have.